Quoin was engaged by the property managers to work alongside Pinchin Environmental Consultants in completing the mold remediation of numerous floors and locations within one of their downtown Toronto properties. 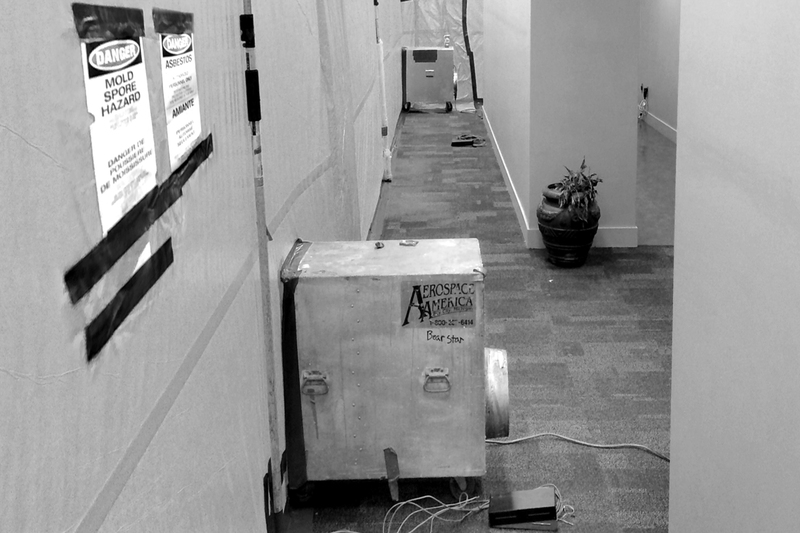 Best practices show that addressing a mold problem involves looking beyond what’s visible. It takes inquisitive thinking and a root-cause approach. Our analysis revealed that a complex network of aging pipes was the culprit. After months of careful planning, Quoin developed and implemented a remediation strategy that would clean up the mold, while minimizing the disruption to our client and, most importantly, prioritize the health and well-being of the occupants. The remediation program involved relocating of furniture, tenting, and upgrading of induction units, abatement, drywall and finishes reinstatement. In many cases, our work encompassed round-the-clock work over a single weekend to ensure tenants were operational Monday morning. We’re always proud to show off our work, and yet to hear our client say “It looks like you were never here” was the ultimate praise for this particular job. The way we see it: Quoin is a company that enables you to do your very best work and build your career. From project managers to administrators to site supervisors, we’re always looking for talented construction professionals to join our team.